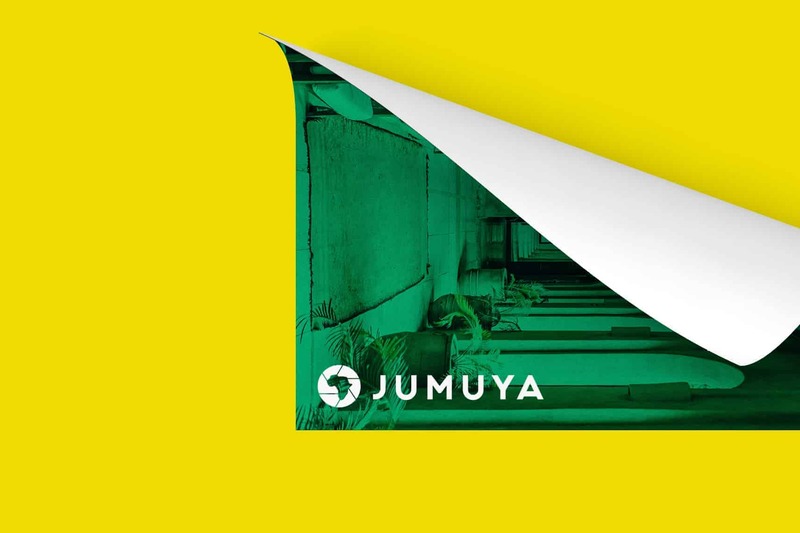 Jumuya is a platform which aims to promote the photography community in Africa. Embodying the meaning of Jumuya which stands for ‘community’ in Swahili, the platform facilitates the sharing of both amateur and professional images, and to foster a sense of creativity between individuals through a shared interest for the visual culture. The branding therefore should maintain and communicate Africa as its centrality. For the icon of Jumuya, it was after experimenting with the ideas of ‘photography’ and ‘Africa’ to which I eventually ended up with a monogram that combined both the two concepts. Since Africa is the main topic of the branding and platform which the logo is for, the colours of green and yellow were also included to reflect the colourful and vivid nature of African culture, yet maintain a sense of professionalism and minimalism. As the icon itself is also flat in design, the style was kept plain and clean, with a focus on what the branding is trying to communicate. Each decision was always discussed and agreed with the client, before proceeding on to the next step. My strategy of coming up with ideas usually begins with some research, sketching and brainstorming ideas on paper. I noted down and sketched/doodled motifs, symbols, shapes and anything which related to Africa or Photography. Once I had at least 4 or 5 solid ideas which had the potential to be logos, I then moved onto Adobe Illustrator to begin turning my sketches into vector designs. During this process, I continued refining and experimenting with the two concepts, and gaining feedback from the client until we reached a finalised draft we were happy with. Once the client was happy with the monogram draft, I refined the logo and proceeded to create the branding guidelines that would support the logo. The client was very happy with the result, as was I. As the platform is still currently in progress, the branding will not be seen for a while however I am sure it will be suited to the ideas which the client had in mind. While this was not a major branding project, the skills I was able to utilise and execute with this opportunity allowed for me to refine my skills, since I am still a new digital designer. I’m a freelance digital designer based in the UK, with skills in logo design, branding, UI and UX design. If you’re interested in working with me, drop me a message or email me at [email protected] 📨.